Since it’s nearly the end of term, we thought you needed some Christmas reading so we’ve combed the internet for the best and brightest archaeology and prehistory blogs and regift them to you, neatly packaged with pretty ribbons, below. Give us a shout if your favourite blog is not featured, we’ll give it a gander and add it on if we think it’s as awesome as you do. Past Horizons collects news stories about archaeology from around the world and doesn’t just focus on prehistory, but has loads of great articles. 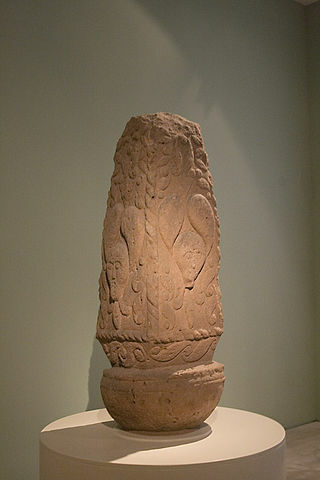 Go there first for archaeology news. Digital Digging, created by Henry Rothwell, is a great place to look at various aspects of archaeology and prehistory. There are three main areas of the website we would recommend. Hillfort map – this will be a complete gazetteer of English, Scottish and Welsh hillforts but as yet only has a few counties online. Grave goods – this is a great series of interviews with interesting archaeologists and others about what they would like to be buried with. It could start a very interesting discussion in your class! Guerilla Archaeology is a collective of archaeologists, artists and scientists who are keen to bring the past to life in new ways and spend a lot of time having fun at festivals, as far as we can see *jealous face*. 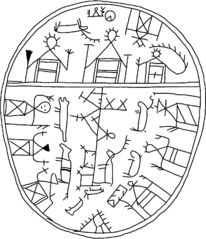 Their pages on shamanism in prehistory are really interesting. That’s the religion box ticked! 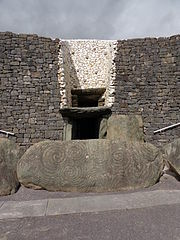 The Urban Prehistorian, Kenneth Brophy, is dedicated to finding prehistoric monuments in the least likely of places – the middle of towns and cities. It’s amazing how much there is to find! Maybe you could find something in your local town to visit in the new year. Not always on prehistory but always with a wealth of sumptuous images and thought-provoking posts, Gavin MacGregor’s heritagelandscapecreativity blog is pretty awesome to read. If you like a dash of feminism in your archaeology cocktail (and let’s face it, who doesn’t? Seriously, who? ), then you’ll love Trowelblazers, collecting stories of awesome women in archaeology, palaeontology and geology. Fun and strangely addictive is Clonehenge, a blog that collects images of replicas of Stonehenge from around the world, and ones made of chips, chocolate and even fish-fingers! 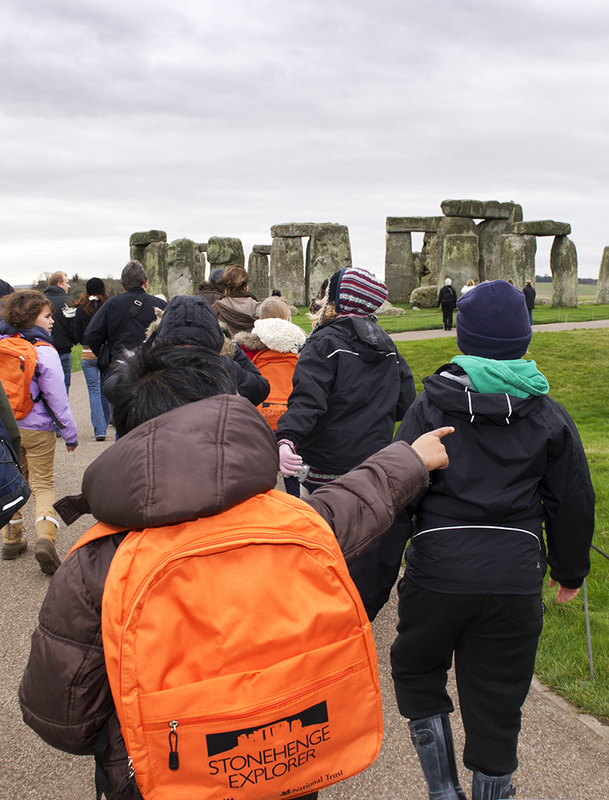 Set your students a challenge to try to get their own Stonehenge replica on there! Mike Pitts is the editor of British Archaeology and particularly interested in Stonehenge and archaeology in the media, plus has some lovely photos on his site, making it very attractive. To go a little further back in time, you could look at John Hawks’ blog, which is about early human species. Recent posts have been about potentially the earliest art found dating back about 500,000 years and the loss of skin pigmentation as human populations moved north. The Day of Archaeology happens every year in July. There are loads of blog posts that showcase a day in the life of lots of different types of archaeologists from around the world. Have a browse. Caroline Wickham-Jones is an archaeologist with particular expertise in Mesolithic Scotland and runs a blog simply called Mesolithic, though she does stray into other periods. And why not. Staying on a Mesolithic theme, the inimitable Spencer Carter runs a blog called Microburin on his work in archaeology and, whenever he can, especially in the Mesolithic of Teesside. Here are a selection of blogs about excavations happening on prehistoric sites around the country, although most are quiet over Christmas but you can read about what they were doing in the glorious summer. And if you don’t feel like reading anything but want a few videos to while away the time, then look no further than Archaeosoup, run by Marc Barkham-Astles. He has videos on just about everything from the Great Orme copper mines in North Wales to the Iron Age chariot burials of Wetwang in the East Riding of Yorkshire. Finally, if you want some soothing audio on an archaeological theme, have a gander at the Archaeology Podcast Network. There you’ll find podcasts on Archaeological Fantasies, Women in Archaeology, and the Archaeology of the Caribbean among others. Archaeologist and parent blogger Claire Walsh has very kindly agreed to let us reblog her review of this children’s book about Stonehenge. For more from Claire visit www.beingamummy.co.uk. Look out for more book reviews coming soon. Very exciting news! We have finished the first set of lessons for you to order! Go over to our lesson plan page to see how you can order and be amazed at the low-low prices! The first lesson is free, for one thing! The set of lessons is about Stonehenge as that’s what we thought a lot of teachers would be interested in teaching. Stonehenge is pretty well known, after all. Obviously, Stonehenge itself is getting geared up for teaching visiting groups. We are getting interesting feedback, though, that teachers want to know about their local prehistoric sites. We’ve got some advice for researching your local prehistory. 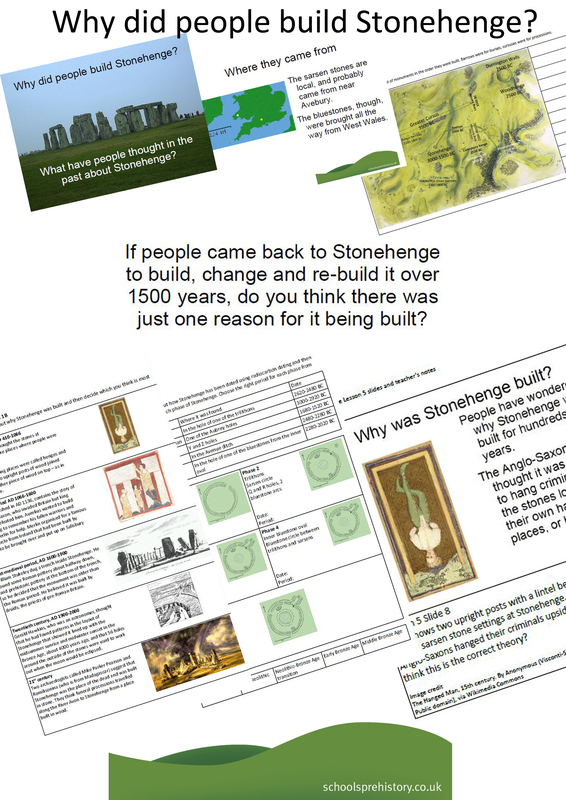 Here’s a taster of what’s in the Stonehenge lessons, which include slides, teacher’s notes, lesson plans and worksheets. They’ll all be supplied as PDFs.